Encourage your students as they learn about consonant blends! 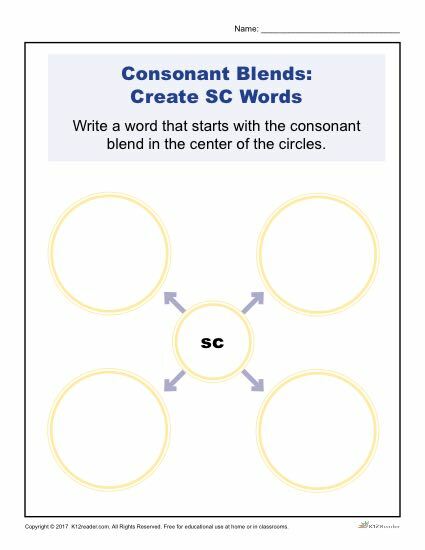 With this helpful learning resource, students will be asked to create four words that begin with the letter combination SC, such as scary, scratch, school, and scatter. Students will enjoy getting creative as they come up with fun, unique words! This printable worksheet is easy to print, making it perfect for use both at home and in the classroom.